Goya's famous image of Saturn devouring his son epitomizes the lust the cannibal has for human flesh. The painting depicts the myth of the greek god Saturn - fearing that his sons would overthrow him he would eat each one after birth. Male lions eat their cubs after birth in order to bring the females into heat. Goya's image of the savage cannibal with its wide eyes and devious abandon, satiating itself on a child is also representative of Goya's fear of madness. 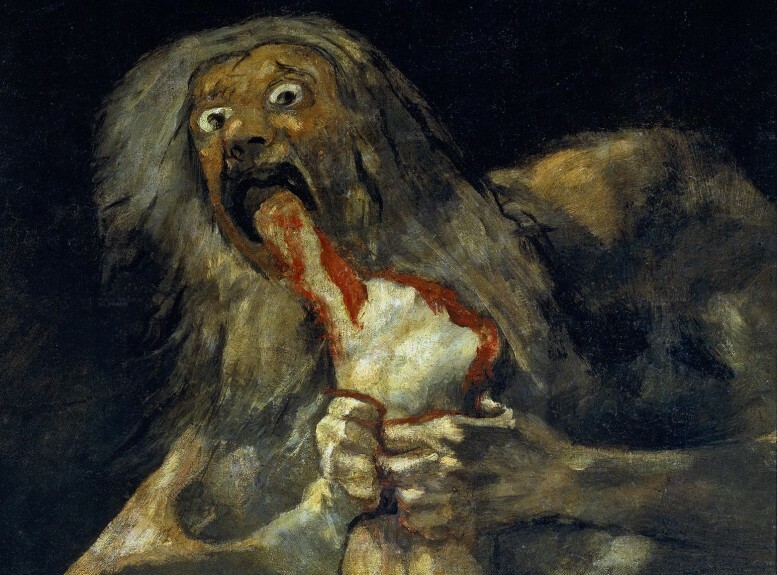 Saturn Devouring His Son was part of a series called the Black Paintings painted on the walls of his Spanish villa toward the end of Goya's life. The series was never commissioned and exhibited only posthumously. The painting, haunting and dark in nature, are indicative of a man alone, deaf - confronting the harrowing possibilities of eternal nothingness. The myth of cannibalism seemed to have a very Jungian catharsis for Goya - it is as if through Saturn's consuming of a child brought Goya a transmutative feeling of youth. Cannibalism though, the mere notion of a man eating another man brings back primitive visions. Artists in one medium or another have confronted cannibalism in society for centuries. Claude Lévi-Strauss, the French anthropologist, is quoted as saying, "“We are all cannibals. The simplest way to identify with others is still to eat them.” Really now? An exhibition at the Me Collector's room in Berlin begs a question in return - all cannibals? The exhibition All Cannibals? at me Collectors Room explores the topic of cannibalism (anthropophagy) in art. "Anthropophagy can be found in the myths of all cultures and ages—with examples ranging from antiquity, the Bible, or folk tales to classicist authors and modern horror movies. 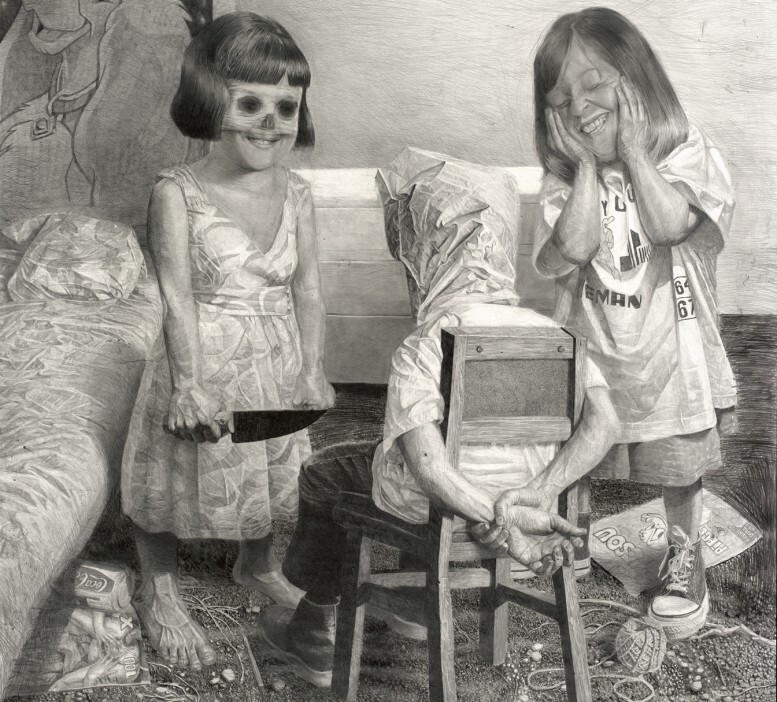 The recurring motifs of desire and brutality can likewise be found in modern and contemporary art. The concept for the exhibition emerged from the observation that the theme of consumable flesh seems to be gaining in significance within many current art works."